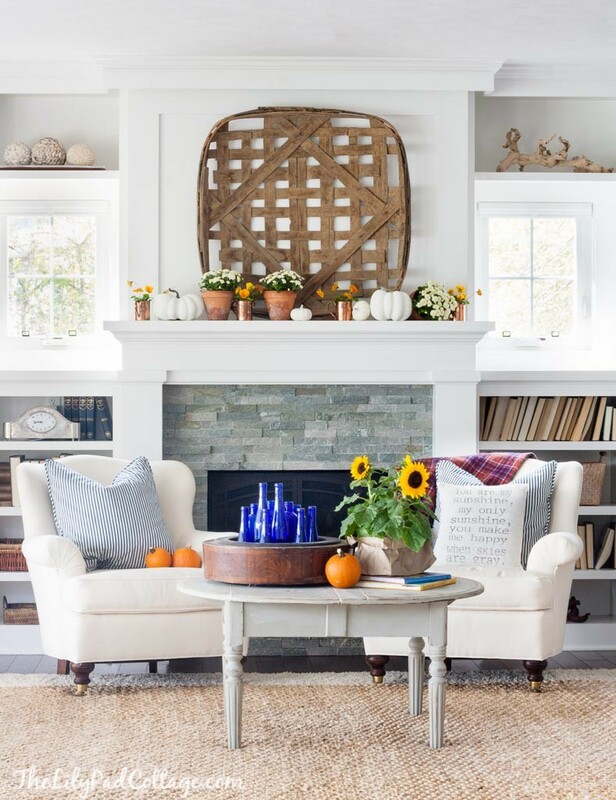 Fall is officially here, and with the change of seasons, you also need to modify a few things around your house. There is going to be a lot of rain and many shades of orange and brown that shine beautifully when bathed in the sun. Your whole surroundings acquire a brand-new tone, and you simply need to adjust your house accordingly. Fall is all about feeling cozy while in a bed or a chair, reading a book while drinking hot chocolate, coffee or tea. To be able to enjoy it to the fullest, there are places and items in your house that need changing. In that respect, here are some ideas on how to implement these changes into your own home. Tassels and all kinds of hanging extensions are a big hit this fall. Small furry rugs are not only easy to introduce, but they also contribute to the cozy atmosphere you’d like to have in your house. As for colors, it’s always safe to go with any color of autumn leaves which is a huge palette of brown and orange hues. Adding a bit of green to the combination will add a nice touch of nature to your room. If you already have rugs in your house, you can try layering rugs, which is basically getting another smaller rug and placing it on top of the old one. Layering is what we do with our clothes in autumn as well, and it will bring warmth and depth to the room. One way to combine everything in your house into a seamless design is to go with neutral colors. This doesn’t necessarily have to be white; you can also go with any beige and eggshell hue, as well as various shades of brown and grey. Neutrals are a great option as they make our lives easier in many ways. Having neutral furniture allows you to experiment later on without having to get rid of anything. Plus, you can simply add neutral furniture to your rooms now without any fuss. It will make a difference, but won’t bring any mismatching problems. If you are in the mood for making a big change, get an over-sized sofa and place it in a tiny room. As much as you might be put off by this suggestion, we encourage you to reconsider. Think about it, is there a better place to be in fall than lying on a huge sofa surrounded by pillows with a book in your hand next to a window? This is why it’s important to choose and buy high-quality fabric for your furniture and keep the relaxing flow in your home. Needless to say, the room should keep the minimalist vibe, so avoid adding too many furniture pieces. We already mentioned pillows. They are a great way to fill up the space and create a unique style without spending a lot of money. As for design, you are free to choose any kind of texture, color, size, and pattern. It is up to you to match the pillows with the rest of the design and arrange them to your liking. We’ll only suggest that you pick one color for all the pillows on one sofa, but completely different designs and possibly sizes, especially if it’s a big sofa. Alternatively, you could choose one pattern, but a palette of colors. Anything goes, as long as you can find one thing that binds them all together. This year’s trends are quite straightforward. Even if you’re not informed enough, you can just follow your instincts, and they’ll probably get you somewhere. Just looking outside at those falling leaves and endless shades of orange, brown and even green will inspire you to harmonize your house with what’s happening outside. It’s important not to overdo it. When you hear about several trends you’d like to try out, don’t try to incorporate all of them at once. The key is in moderation. Every trend can be either amazing or awful, depending on how you pair all the elements. The beauty and the difficulty of decorating is that fact that you can never look at one item individually. You always need to think about the overall look and feel they provide when combined.